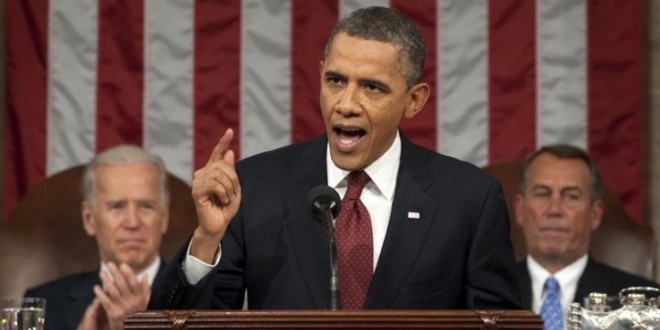 On Tue, Feb 12th, 2013, President Barack Obama gave his “State of the Union” address before Congress and before the American people. We live blogged every scintillating moment of it right here. 7:29pm – Keeping it nerdy. 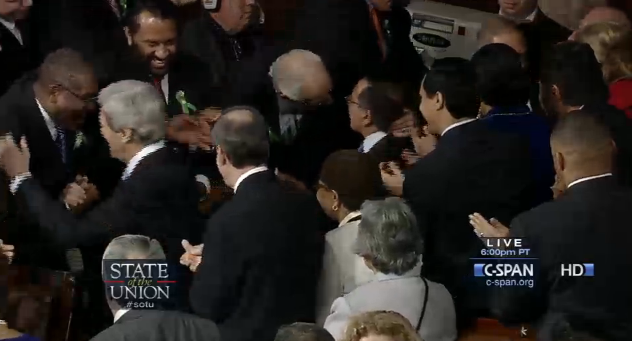 Streaming C-SPAN. 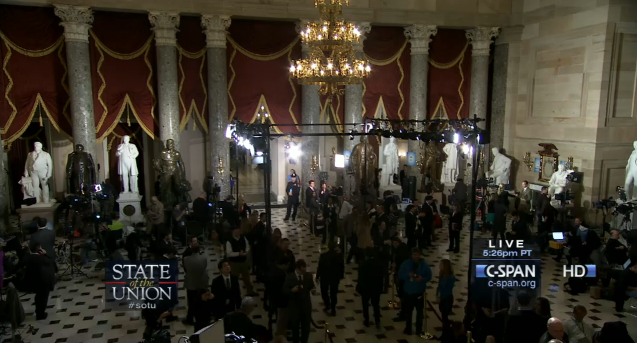 7:30pm – C-SPAN preshow is underway. Event officially starts at 8:00pm. CNN is staying with the Dorner thing for now. 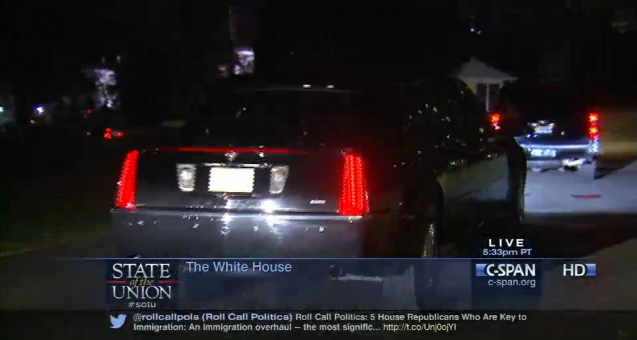 7:33pm – Presidential motorcade arrives. 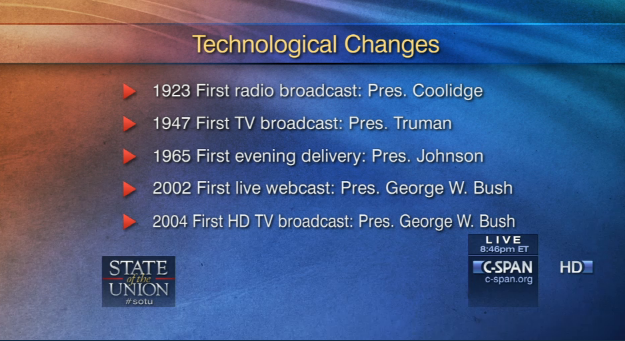 7:35pm – C-SPAN puts up the nerdiest graphic ever. 7:44pm – A candid moment. 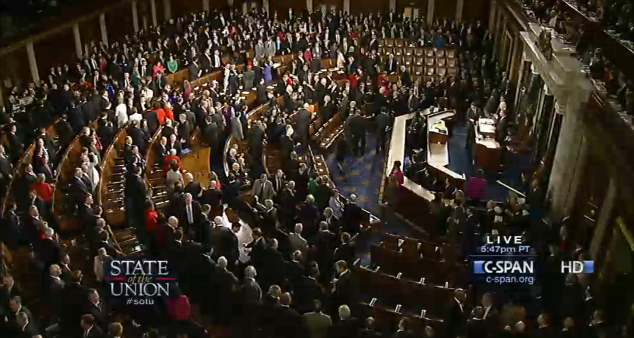 7:48pm – Members of Congress filing in. 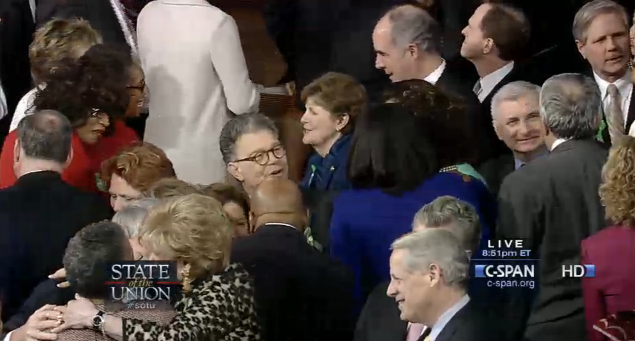 7:52pm – Al Franken is somehow still a Senator. 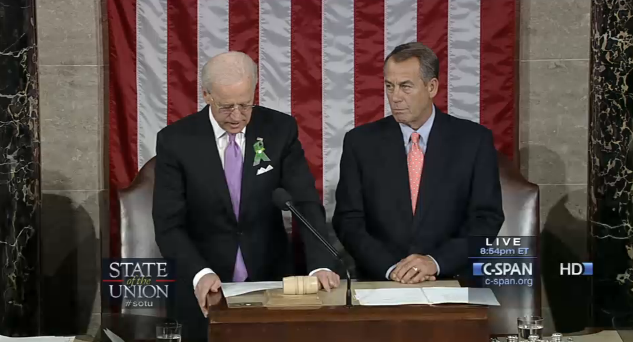 7:54pm – Okay, I heard a gavel. Now we’re getting started. 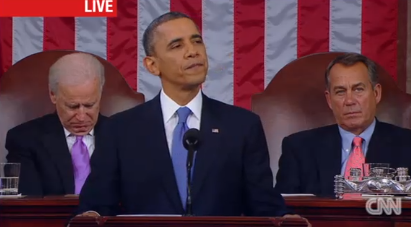 7:55pm – Vice President Biden speaks, sounds slightly intoxicated. 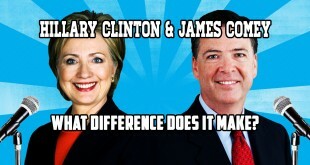 7:57pm – How many people does it take to ruin a country? This many. 7:59pm – Here is Obama’s new cabinet, most of whom he will never meet with. 8:08pm – Waiting for His Excellency. 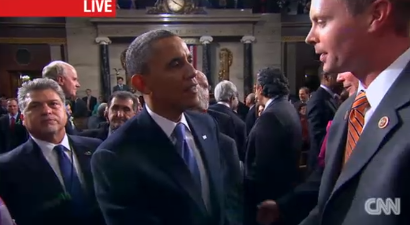 8:10pm – The Anointed One arrives. 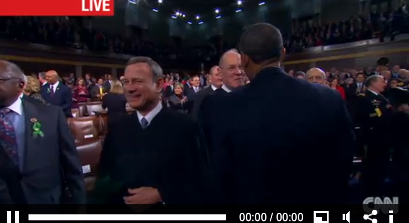 8:13pm – Obama greets Chief Justice John “The Tax Man” Roberts, without whom we would not have Obamacare. 8:16pm – POTUS kicks things off. 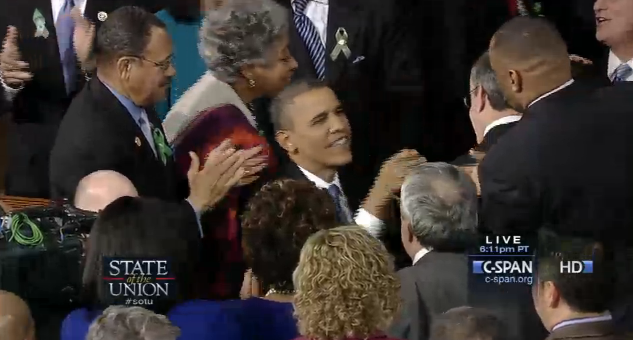 8:19pm – POTUS talks about a thriving middle class. Whose taxes he raised. 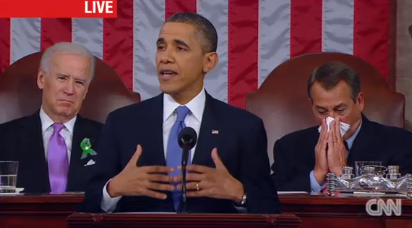 8:20pm – “The American people do not expect government to solve every problem.” POTUS does. 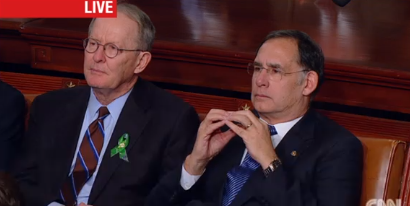 8:21pm – Talking about $2.5 trillion in deficit reduction. Yet our national debt keeps rising. 8:23pm – Budget cuts alone won’t solve the problem. The wealthiest Americans need to chip in to fix this. 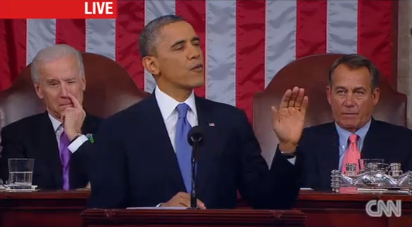 8:24pm – On Obamacare: “Already, the Affordable Care Act is working to slow down” the economy. 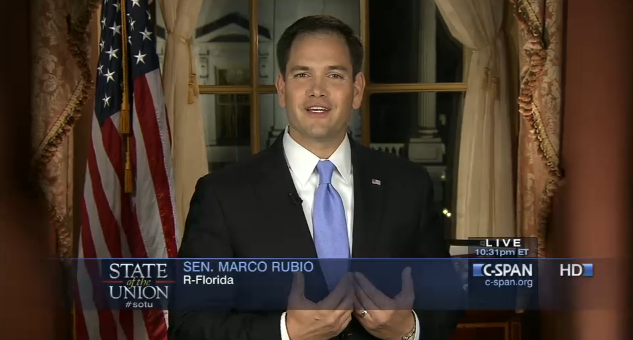 8:25pm – “I am open to reform from both parties.” As long as they present the same idea. 8:26pm – Tax reform to close “loop holes.” Your donors won’t allow you. 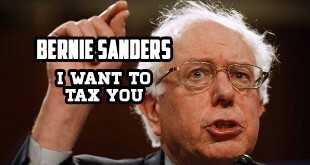 8:28pm – Tax reform to raise the taxes “on companies who send jobs overseas.” Like GM? 8:29pm – “Let’s pay our bills on time.” Lol. How about you submit a budget on time? 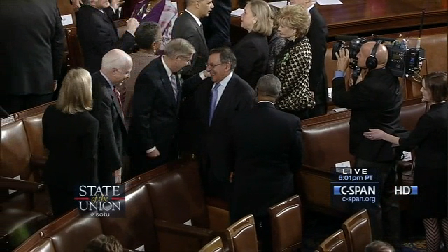 8:30pm – Man, C-SPAN’s got a crappy angle. 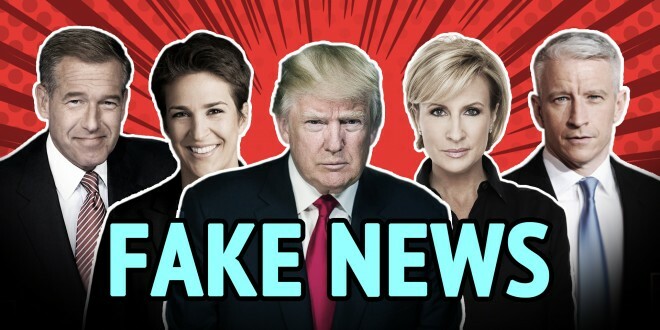 Gotta fully switch over to CNN. 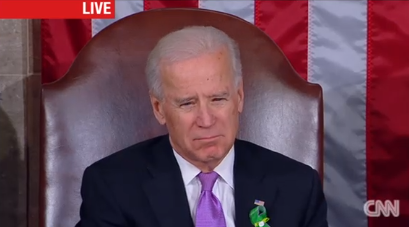 8:32pm – Switching to CNN delivers: Biden boogie. 8:33pm – POTUS is talking about creating 15 manufacturing hubs which are going to be huge job creators and centers of technology. This will happen right after those 5 million green jobs kick in. 8:34pm – Climate change. Droughts, floods, earthquakes, wildfires are now “more frequent than ever before.” This is because of carbon dioxide. Stop breathing. 8:35pm – Eating an invisible sandwich. 8:36pm – Washington needs to work to combat pollution. Easy: put a dome over Washington. 8:37pm – New oil and gas permits. Meaning new permits to reject. 8:39pm – The “Fix It First” program: a way to rebuild America with new construction projects. These shovel-ready jobs might not be as shovel-ready as we expected. 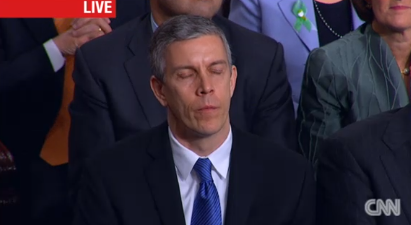 8:41pm – Education Secretary. 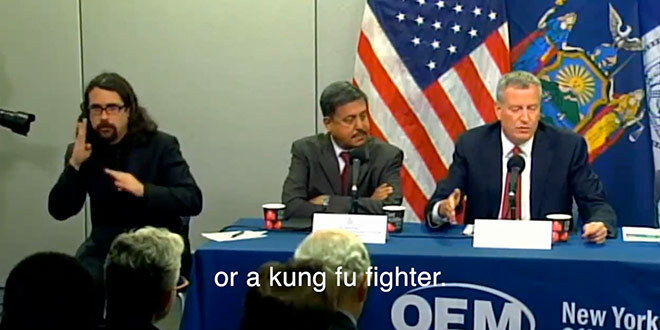 This guy will never get to speak with POTUS. 8:45pm – “We’re gonna redesign America’s high schools.” To be more like prisons. 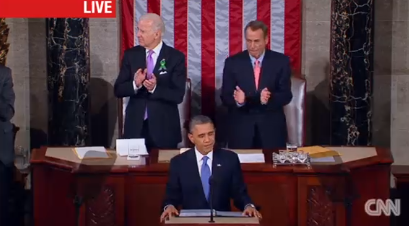 8:48pm – “Now’s the time to pass comprehensive immigration reform. Real reform means border security…” One of these things is not like the other. 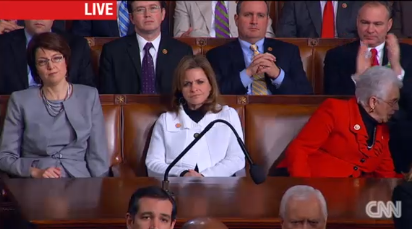 8:50pm – “We need to ensure that women earn the same wage as their male counterparts.” These women are ecstatic. 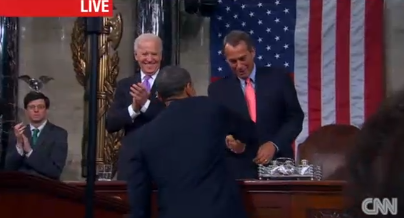 8:53pm – Boehner vomiting into his handkerchief. 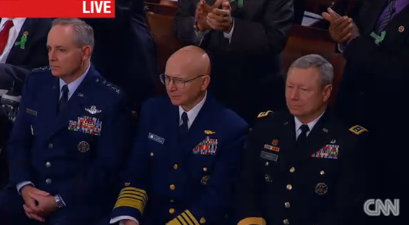 8:56pm – These generals are extremely excited. 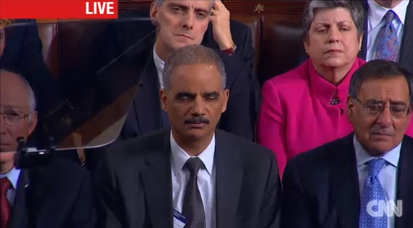 8:57pm – We’ve checked with Eric Holder, and he confirmed that it is completely legal to hunt down Americans with drones and kill them dead. 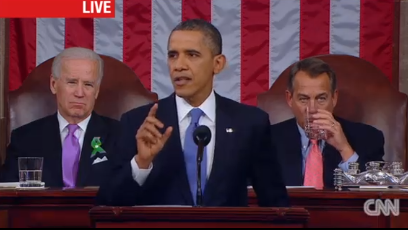 8:59pm – “We will make sure that Iran does not get a nuclear weapon.” Like North Korea? 9:00pm – New executive order signed today for cyber security. Good-bye, Internet. 9:02pm – Vodka is allowed in the chamber. 9:07pm – We need to fix our voting system. 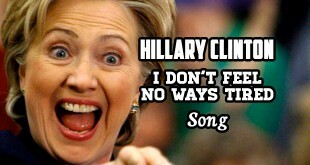 So Democrats can vote twice. 9:08pm – Finally the big topic: gun control. 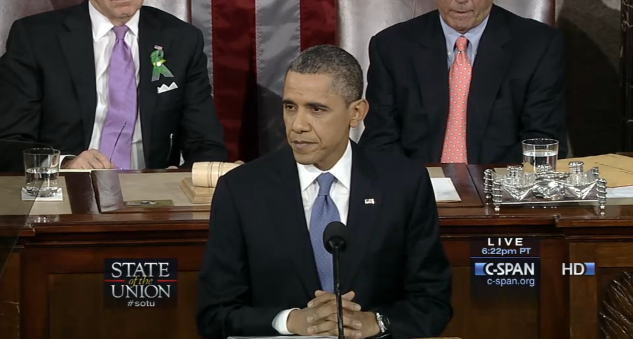 9:09pm – We need to institute background checks for gun purchases, which already exist. It’s called NICS. 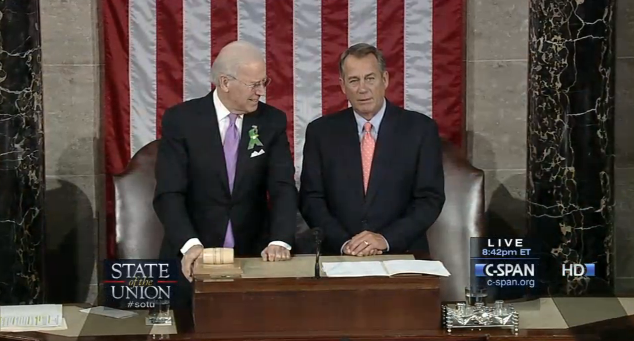 9:16pm – End of the speech. 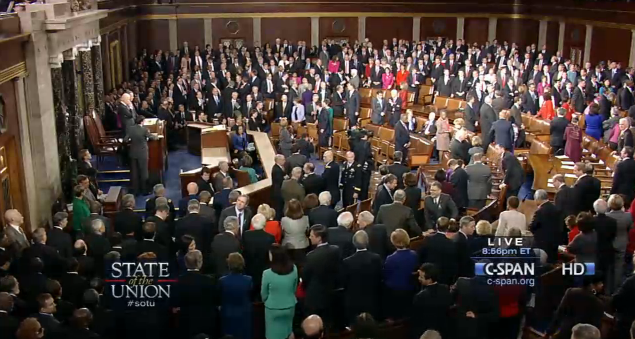 9:20pm – Exiting the chamber. 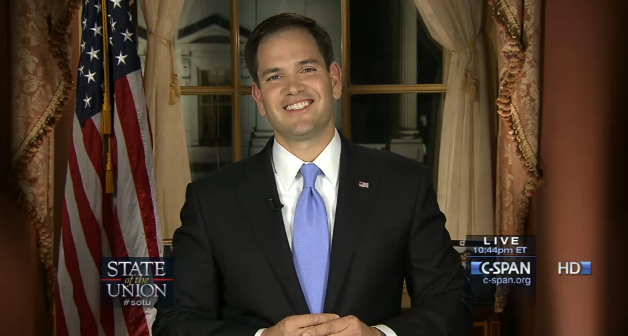 9:28pm – Republican response to the State of the Union address, by Senator Marco Rubio. 9:44pm – End of the Republican response. 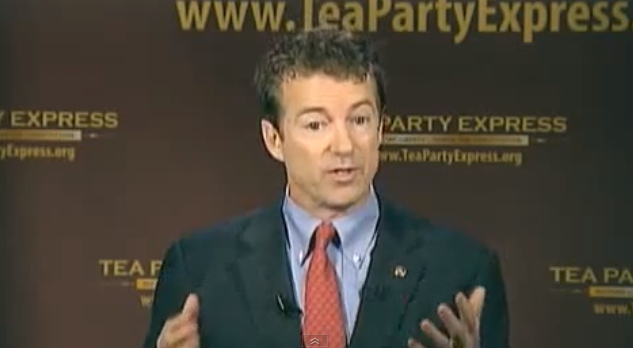 9:49pm – Tea Party response to the State of the Union address, by Senator Rand Paul. 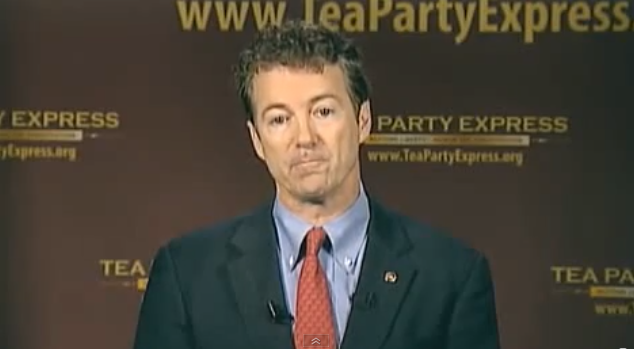 10:04pm – End of the Tea Party response. 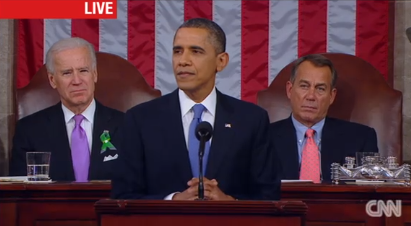 What did you think of the State of the Union address, or our coverage of it? Let us know in the comments below! Nicely done Mop head, love the live humor commentary! Thanks, Deacon! I guess I should change my name to Mop Head.